For the British band, see The Auteurs. An auteur (French: [ɑtœʁ], author) is a singular artist who controls all aspects of a collaborative creative work, a person equivalent to the author of a novel or a play. The term is commonly referenced to filmmakers or directors with a recognizable style or thematic preoccupation. Auteurism originated in French film criticism of the late 1940s as a value system that derives from the cinematic theories of André Bazin and Alexandre Astruc—dubbed auteur theory by American film critic Andrew Sarris. Such critics invented the concept as a way of distinguishing French New Wave filmmakers from studio system directors that were part of the Hollywood establishment. Auteur theory has since been applied to producers of popular music, as well as directors of video games. The definition of an auteur has been debated since the 1940s. André Bazin and Roger Leenhardt presented the theory that it is the director that brings the film to life and uses the film to express their thoughts and feelings about the subject matter as well as a worldview as an auteur. An auteur can use lighting, camerawork, staging and editing to add to their vision. In François Truffaut's 1954 essay "Une certaine tendance du cinéma français" ("A certain tendency in French cinema"), François Truffaut coined the phrase "la politique des Auteurs", asserting that the worst of Jean Renoir's movies would always be more interesting than the best of the movies of Jean Delannoy. "Politique" might very well be translated as "policy" or "program"; it involves a conscious decision to value and look at films in a certain way. One might see it as the policy of treating any director that uses a personal style or a unique worldview as an Auteur. 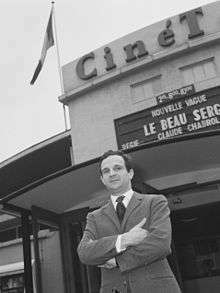 Truffaut criticized the Cinema of Quality as "Scenarists' films", which are works that lack originality and rely on literary classics. According to Truffaut, this means that the director is only a metteur en scene, a "stager". This tradition suggests that the screenwriter hands the script to the director and the director simply adds the performers and pictures. Truffaut said: "[t]here are no good and bad movies, only good and bad directors". Starting in the 1960s, some film critics began criticising auteur theory's focus on the authorial role of the director. Pauline Kael and Sarris feuded in the pages of The New Yorker and various film magazines. One reason for the backlash is the collaborative aspect of shooting a film, and in the theory's privileging of the role of the director (whose name, at times, has become more important than the movie itself). In Kael's "Raising Kane" (1971), an essay written on Orson Welles' Citizen Kane, she points out how the film made extensive use of the distinctive talents of co-writer Herman J. Mankiewicz and cinematographer Gregg Toland. Some screenwriters have publicly balked at the idea that directors are more authorial than screenwriters, while film historian Aljean Harmetz, referring to the creative input of producers and studio executives in classical Hollywood, argues that the auteur theory "collapses against the reality of the studio system". In 2006, David Kipen coined the term Schreiber theory to refer to the theory of the screenwriter as the principal author of a film. In law, the film is treated as a work of art and the auteur, as the creator of the film, is the original copyright holder. Under European Union law, the film director is considered the author or one of the authors of a film, largely as a result of the influence of auteur theory. From the 1960s, Phil Spector is considered the first auteur among producers of popular music. Author Matthew Bannister named him the first "star" producer. Journalist Richard Williams wrote: "Spector created a new concept: the producer as overall director of the creative process, from beginning to end. He took control of everything, he picked the artists, wrote or chose the material, supervised the arrangements, told the singers how to phrase, masterminded all phases of the recording process with the most painful attention to detail, and released the result on his own label.". Japanese developer Hideo Kojima is considered to be the first auteur of video games. ↑ Min, Joo & Kwak 2003, p. 85. ↑ Caughie 2013, pp. 22–34, 62–66. ↑ The Editors of Encyclopædia Britannica (n.d.). "Auteur theory". Encyclopedia Britannica. ↑ Thompson & Bordwell 2010, pp. 381–383. ↑ Thompson & Bordwell 2010, p. 382. ↑ Kael, Pauline, "Raising Kane", The New Yorker, February 20, 1971. ↑ Aljean Harmetz, Round up the Usual Suspects, p. 29. ↑ Kamina 2002, p. 153. ↑ Eisenberg 2005, p. 103. 1 2 Bannister 2007, p. 38. ↑ Williams 2003, pp. 15-16. 1 2 Cogan & Clark 2003, pp. 32–33. ↑ Willis 2014, p. 217. ↑ Miller 1992, p. 193. ↑ Guriel, Jason (May 16, 2016). "How Pet Sounds Invented the Modern Pop Album". The Atlantic. ↑ "Hideo Kojima - video gaming's first auteur - Screen Robot". Screen Robot. Retrieved 7 April 2016.